Cleveland.com covered Crocker Park’s tree lighting ceremony and their various holiday attractions. Click here to read more. Crocker Park hosted their annual tree lighting ceremony this past Saturday the 17th to usher in the new holiday season. With over 10,000 people in attendance, it was definitely an evening to remember. A lineup of performers entertained the festive crowd, including Buddy the Elf, Olmsted Performing Arts, Great Lakes Science Center, The Real Popfusion, Potted Potter, and Jen & Time from Star 102 Cleveland. The ceremony then culminated with Nickelodeon’s “The Thundermans” star Kira Kosarin performing some Christmas songs (as well as a jazzy original from her upcoming album) and welcoming in Santa on his custom sleigh to help light up the 50-foot tree. With the tree lit the crowds explored the various other attractions on property, including a skating rink, a walk-through ornament, a tree garden, a toy train town and gingerbread village, Santa house and sleigh, and much more! 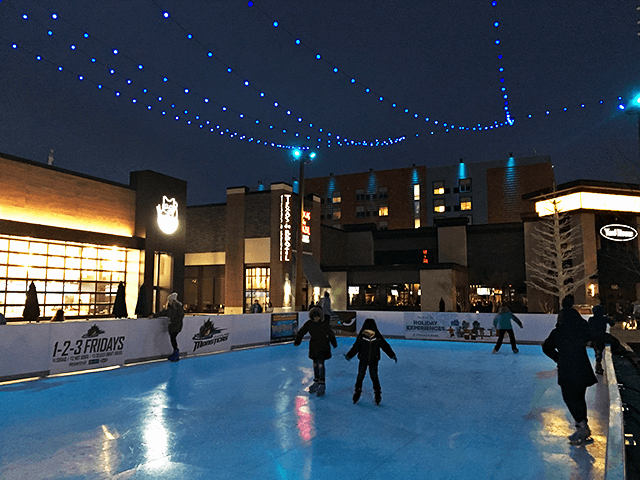 View all of Crocker Park’s holiday experiences at crockerpark.com and be sure to stop by to see them all holiday season long!